Albrite is an extremely strong mixture of acid solution for tough fleet cleaning jobs of aluminum! It is ideal to use as part of a two-step process. Leaves aluminum with a soft satin sheen, too. 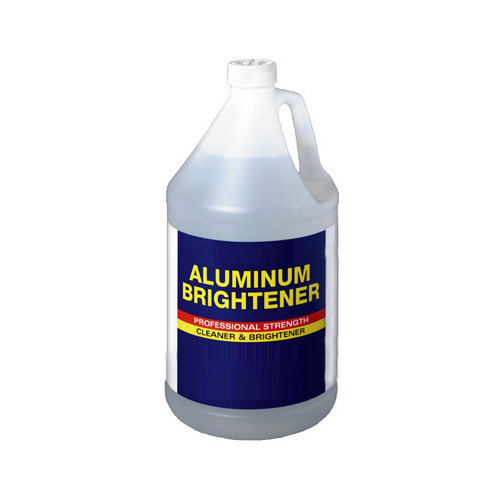 Albrite is also highly effective in cleaning stainless steel. Aluminium Cleaner removes corrosion products and oxide films with minimal attack on the substrate and reduced localised pitting. Our range of metal pretreatment chemicals and anti corrosive chemicals meets the varied requirements of industries in phosphating, chromating, black oxidizing of metal surfaces. Manufactured?using qualitative formulations and exact compositions, our finished products are used as rust removers, acid cleaners and rust preventives of the metal surfaces. We also offer consultancy services to our esteemed clients for manufacturing and marketing of chemicals. We have acquired competitive edged over our competitors by offering effective operational training of the supplied chemicals to the clients. Our range includes metal pretreatment chemicals, anti corrosive chemicals, paint stripper, degreasers, biodegradable chemicals, phosphating chemicals, de rusters, aluminium treatment chemicals, hot/cold blackening chemicals, rust preventers, rust converter, ferroguard etc.